You know that feeling when you see something and you think, "Damn, I HAVE to do this"? And where do you note these things down? Why, a bucket list, of course! Yes, it might be cheesier than a double-burst cheese pizza with a stuffed cheese crust, but just like the pizza, it is great fun. We may not have The Grand Canyon, but we do have The Great Banyan. 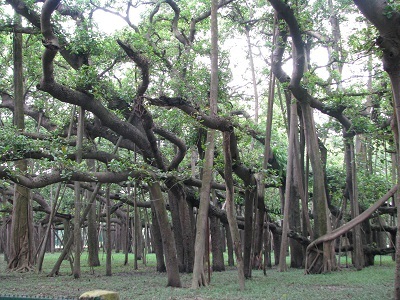 Located at the Acharya Jagadish Chandra Bose Botanic Garden in Calcutta, it is supposedly around 1250 years old! Although it looks like a forest, it's all one tree. Sounds similar to those discounts...see 1 tree, get 3300 aerial roots free! The only one of its kind in the world (and probably the universe, because...yay Earth rocks! 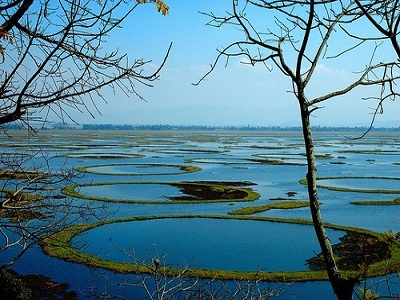 ), the Loktak Lake has a series of floating islands called Phumdis. 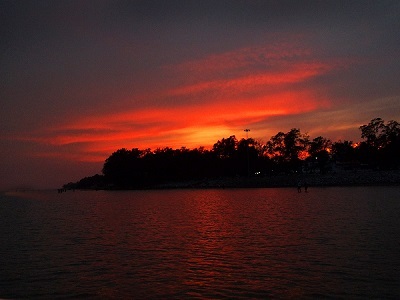 To make this place even more special, the largest Phumdi constitutes the world's largest floating park, Keibul Lamjao National Park. If it looks this pretty when you're on your feet, can you imagine how amazing it would look flying under your feet? Flying over one of the largest forts in India, the Mehrangarh Fort in Jodhpur, is now possible with the Flying Fox. See the Blue City like never before! You know how they say handmade things are always more precious? 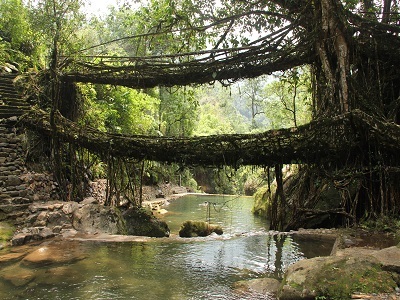 These living root bridges are the same. They take up to 15 years to build, and are naturally self-strengthening as the roots grow thicker. It's a part of the UNESCO Heritage too!